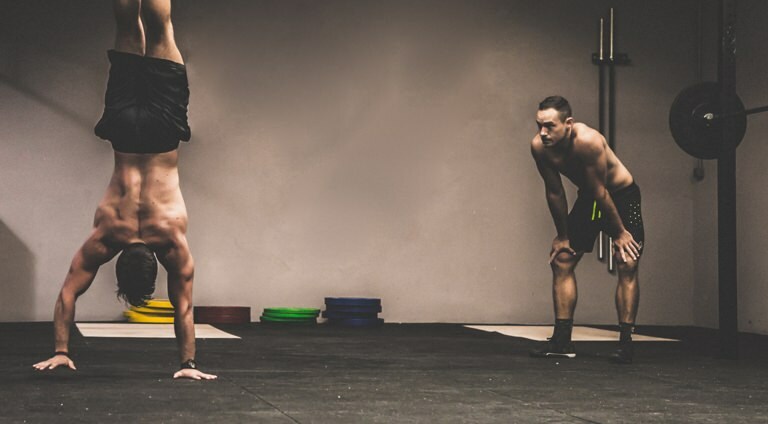 The Benefits of Barefoot Training | Valet. 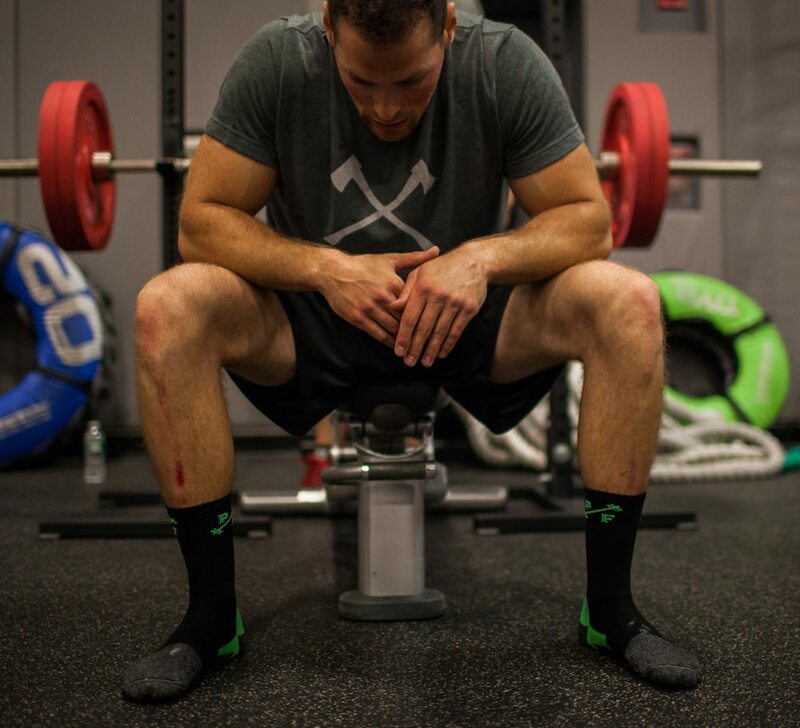 Pedestal makes socks specifically for training, designed for durability and comfort with maximum toe splay for balance. 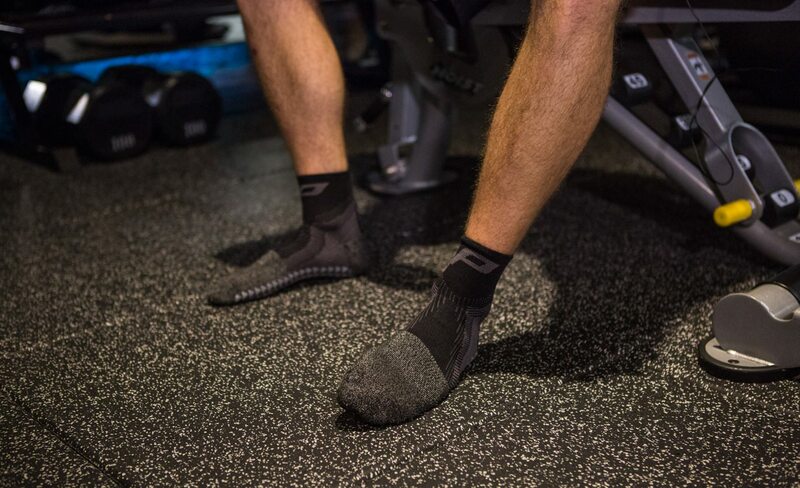 A few years ago, I saw a guy at my gym lifting weights in socks, without any shoes on. I was still pretty new at this fancy, elite gym and honestly, I thought he had made a mistake—like he'd forgotten his sneakers at home and decided to just workout without them. But then I started noticing guys in the gym actually taking off their sneakers to do some training and realized it must be "a thing." Of course, it didn't stop me from giving some subtle side-eye every time I saw it. It's almost counterintuitive. Never before have our sneakers offered such technological advancements. They're lighter, stronger and springier than ever. They can help us run faster, jump higher and crush any WOD. But the best footwear for training just might be no footwear at all. Kicking off your shoes could be the secret to getting stronger and more toned. Which is exactly why it's a thing with powerlifters. Often, our feet are the only part of our bodies touching the floor and grounding us while we work to develop our muscles in the gym. “I started researching the benefits of running barefoot almost 10 years ago when the book Born to Run came out,” says Michael Aidala, a personal trainer and health coach who's also an ambassador for Ten Thousand. Now, he says he trains without shoes often, for everything from weightlifting and handstands to the jump exercises known as plyometrics. “The biggest benefit I personally see from barefoot training—both with my clients and myself—is the increased proprioception of the nerves on the bottom of the foot,” says Aidala. 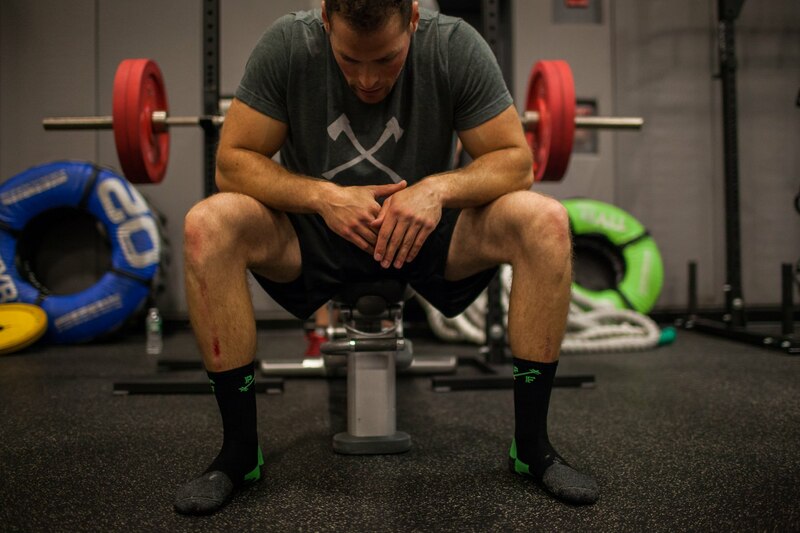 “It greatly enhances my balance and ability to 'feel' the ground and produce force.” That increased force is all but guaranteed to help you when you're doing such lifts as squats and deadlifts or working with a kettlebell, since you push through a hard surface with your heels, instead of some cushioned sole. This makes sense. After all, our bodies are feedback loops. So when we cover our feet in cushioned shoes, we prevent a vital feedback mechanism from doing its job well. Going barefoot not only allows the feet to give our brains more feedback, but it allows the nerves and muscles within the foot to strengthen. According to Dr. Wickham, you'll not only strengthen your feet, but you'll see better results from head to toe. Barefoot training is also an easy way to injury-proof your body. “It leads to better movement in other joints of the body such as the hips, low back and even shoulders,” he says. 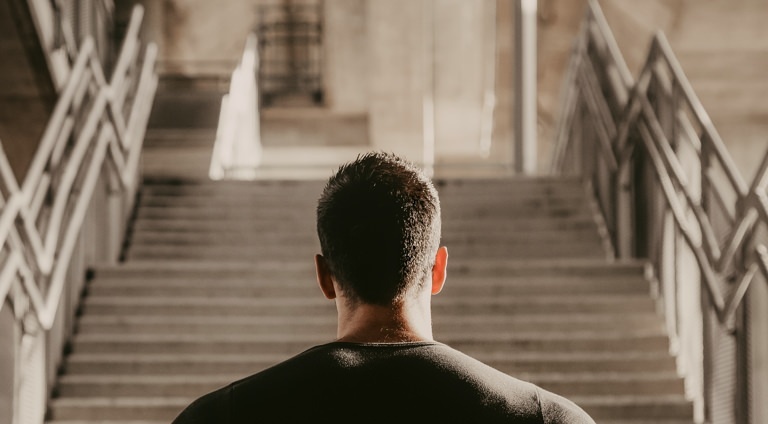 “The reason for this is that when one has decreased mobility in the foot, it leads to compensations in other areas of the body, such as the hips and low back and shoulders." If you're ready to kick off your trainers and start a barefoot workout, both Aidala and Wickham offer up one small warning. Start off slowly and ease into it. “Most of us aren't used to moving intensely barefoot,” says Aidala. “There are a lot of muscles around your foot and ankle that need to build up strength slowly as you take the crutch of the shoe away.” Rushing the process can cause injuries. 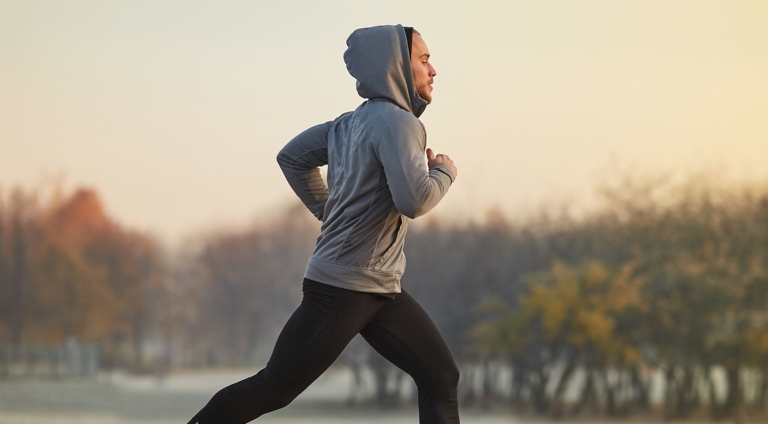 “If you do start to have aches and pains in your feet or ankles, and the only thing you changed is your barefoot training, this is a sign you may have not allowed your feet and ankles enough time to get accustom to the barefoot training,” says Dr. Wickham. “You'll want to back off slightly as well as incorporate some foot and ankle mobility work.” But once you get the hang of it, you'll start noticing results and find yourself wearing your workout shoes less and less. 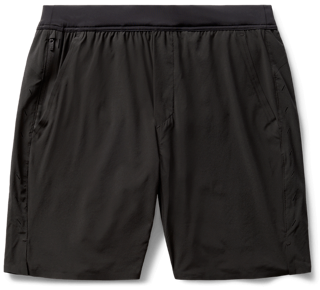 Ten Thousand, known for their hardwearing minimalist training apparel, is so confident that you'll love their gear that they now offer a 30-day trial. 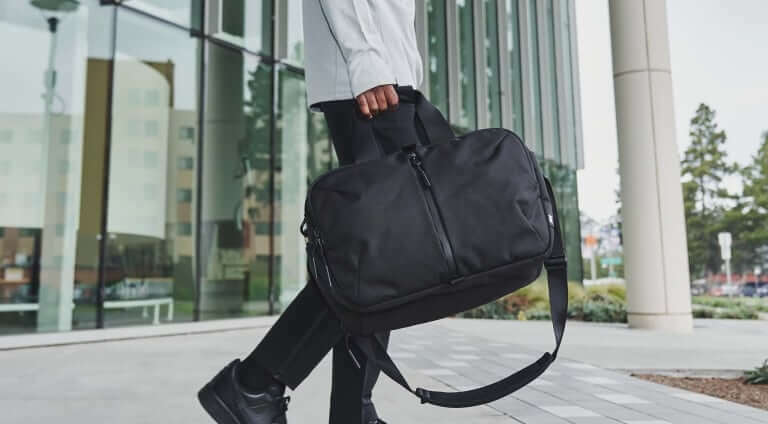 The program goes beyond just a "home try-on" or free returns and allows you to actually test the gear where and how you'll actually use it. If you're not satisfied, you can send it back (for free) and you won't be charged.